Host a variety of social events at Hotel 10 and make our style your own. Whether you’re hosting a family reunion, anniversary celebration, or wedding extravaganza, the flexible and design-forward event space at Hotel 10 is the perfect place to celebrate. We can make room for your social gathering. With more than 7,000 square feet of customizable meeting space and a large number of seating configurations, we specialize in nights to remember. Our four elegantly appointed and distinct event rooms are 100% customizable to your tastes and guest list. From fancy wine tasting parties with a small group to a truly memorable bachelor or bachelorette party, we have your social event space covered. Want to tie the knot in style? We offer spacious ballroom accommodations for any style of weddings. Take it outside and enjoy the cool Montreal weather with our outdoor venue space, complete with courtyard, terrace, and event tent. Enjoy an overnight stay upstairs in our spacious rooms and suites. Coco is back at HOTEL10! 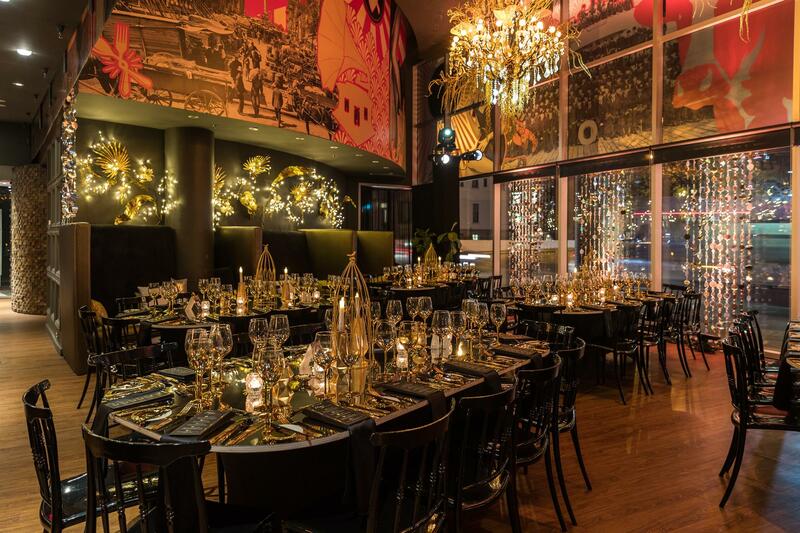 For your Christmas party, treat yourself to an exceptional evening. Let us pamper you with our turnkey packages and a savory food experience. A festive atmosphere, with lush velvets and gold await you!